Russia, also officially known as the Russian Federation (Росси́йская Федера́ция), is a country in northern Eurasia. It is a federal semi-presidential republic, comprising 83 federal subjects. From north-west to south-east, Russia shares borders with Norway, Finland, Estonia, Latvia, Lithuania and Poland, Belarus, Ukraine, Georgia, Azerbaijan, Kazakhstan, China, Mongolia, and North Korea. It also has maritime borders with Japan by the Sea of Okhotsk, and the US state of Alaska by the Bering Strait. At 17,075,400 km², Russia is the largest country in the world, covering more than one eighth of the Earth’s inhabited land area. Russia is also the eighth most populous nation with 143 million people. It extends across the whole of northern Asia and 40% of Europe, spanning nine time zones and incorporating a wide range of environments and landforms. Russia has the world’s largest reserves of mineral and energy resources and is the largest producer of oil and natural gas globally. Russia has the world’s largest forest reserves and its lakes contain approximately one-quarter of the world’s fresh water. Following the Russian Revolution, Russia became the largest and leading constituent of the Soviet Union, the world’s first constitutionally socialist state and a recognised superpower, which played a decisive role in the allied victory in World War II. The Soviet era saw some of the most significant technological achievements of the 20th century, including the world’s first human spaceflight. The Russian Federation was founded following the dissolution of the Soviet Union in 1991, but is recognised as the continuing legal personality of the Soviet state. 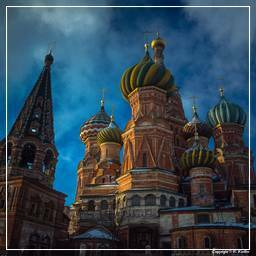 The Russian economy is the world’s ninth largest by nominal GDP and sixth largest by purchasing power parity, with the 3rd largest nominal military budget. Russia is one of the world’s fastest growing major economies. It is one of the five recognised nuclear weapons states and possesses the largest stockpile of weapons of mass destruction. Russia is a great power and a permanent member of the United Nations Security Council, a member of the G8, G20, the Council of Europe, the Asia-Pacific Economic Cooperation, the Shanghai Cooperation Organisation, the Eurasian Economic Community, the Organisation for Security and Cooperation in Europe (OSCE), the World Trade Organisation (WTO), and is the leading member of the Commonwealth of Independent States. Russian achievements in the field of space technology and space exploration are traced back to Konstantin Tsiolkovsky, the father of theoretical astronautics. His works had inspired leading Soviet rocket engineers, such as Sergey Korolyov, Valentin Glushkov and many others who contributed to the success of the Soviet space program on early stages of the Space Race and beyond. In 1957 the first Earth-orbiting artificial satellite, Sputnik 1, was launched from Baikonur; in 1961 the first human trip into space was successfully made by Yury Gagarin; and many other Soviet and Russian space exploration records ensued, including the first spacewalk performed by Alexey Leonov, the first space exploration rover Lunokhod-1 and the first space station Salyut 1. Nowadays Russia is the largest satellite launcher and the only provider of transport for space tourism services.